Why Holiday at Pier Caravan Park Hervey Bay? There’s nothing like a Pier Caravan Park Hervey Bay holiday. 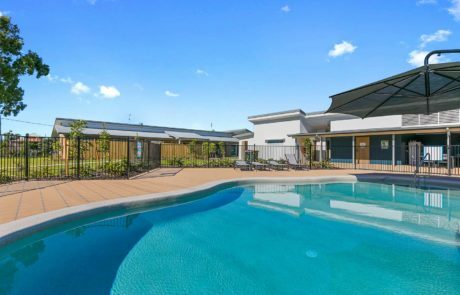 Ideally located adjoining Hervey Bay’s iconic Urangan Pier, you’ll be holidaying with brand new amenities and just a stone’s throw from private beaches, hotels, cafes, markets and the marina. Whether you’re relaxing with friends and family or staying to make the most of all the Fraser Coast has to offer, Pier Caravan Park Hervey Bay promises a great place to unwind full of family friendly fun. There’s something for everyone at Pier Caravan Park Hervey Bay. Your whole crew will be entertained from sun up to sun down enjoying the relaxing pool, BBQ and games room areas. And the onsite amenities are second to none. Brand new showers, toilets and laundry, camp kitchen and drying area. You’ll appreciate the peace of mind knowing your stay is secured with privacy fencing and gated entry. 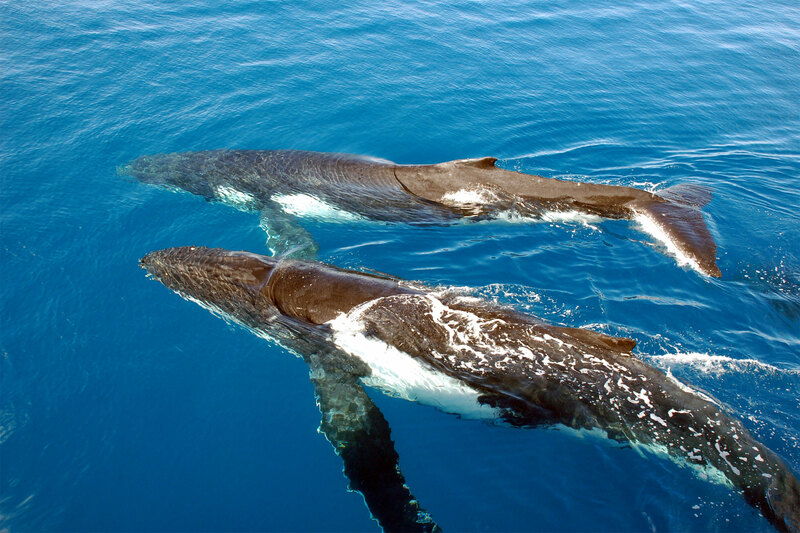 And when you are ready to venture out and explore the best of the Fraser Coast, be sure to talk with our friendly park managers who’ll share the local secrets for making the most of your stay including help with whale watching transfers and visiting world heritage listed Fraser Island. The Pier Caravan Park Hervey Bay has been designed to maximise space for guest enjoyment, as well as provide more than enough space for caravan parking. 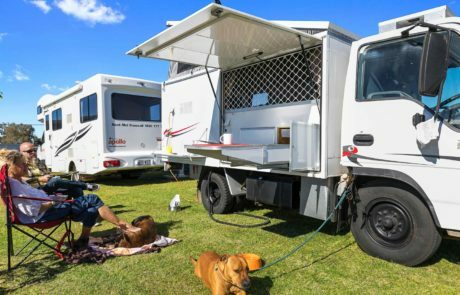 In seeking a camping ground Hervey Bay visitors will not be disappointed with the large premises of the Pier caravan park with more than 80 van spots spread across the site. That means less stress in finding a suitable Hervey Bay Caravan Park, even in peak season! If you want somewhere to stay, there’s probably room at the Pier Caravan Park Hervey Bay. Many of the other Hervey Bay caravan park locations were constructed years ago, and that means their amenities are well-used and somewhat outdated. This isn’t true for the Pier Caravan Park Hervey Bay. Having only just opened in June of 2018, the Pier’s caravan park facilities stand above the rest in Hervey Bay. A stay at the Pier is like no camping ground Hervey Bay visitors will have experienced before with brand-new and well-designed bathroom and laundry. There is even a modern and spacious camp kitchen! Keeping everyone entertained on your holiday to Hervey Bay is a breeze when you stay at the Pier Caravan Park. 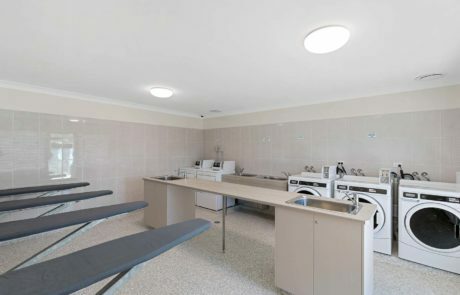 As well as modern necessities, this Hervey Bay caravan park also provides some delightful luxuries perfect for keeping kids busy. These include a stocked games room and refreshing pool within easy reach of the camping spots. 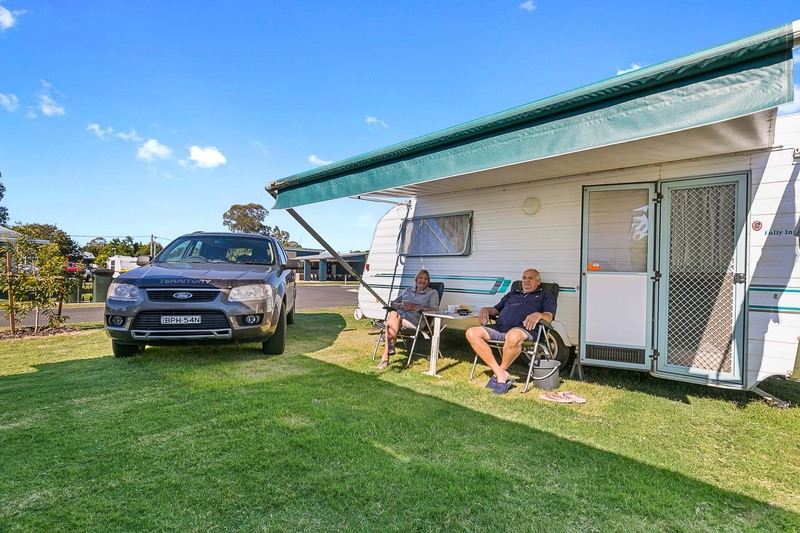 While they might be looking for a camping ground Hervey Bay visitors will find the full experience at the Pier Caravan Park, a simple home away from home. Generally, the camping ground Hervey Bay visitors expect is one that is out of the way, but that’s not the case with this Hervey Bay Caravan Park. Located right in the middle of all the action, the Pier is just a short stroll from many of the local attractions and experiences of the region. Take a walk from the Pier Caravan Park Hervey Bay down to the iconic pier from which the caravan park gets its name, see the picturesque beaches, and explore the stunning coastline. 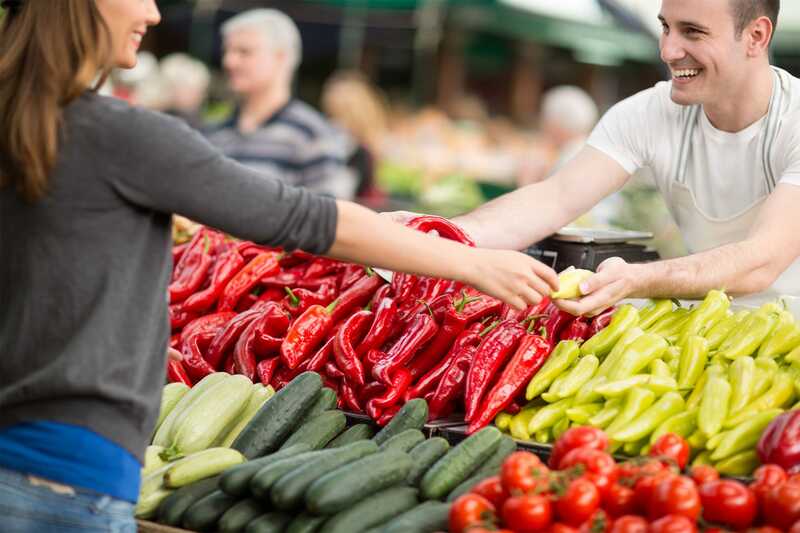 When they choose this camping ground Hervey Bay visitors also get easy access to shops, markets, cafes and the marina, without the hefty hotel price tag. The Pier Caravan Park Hervey Bay might have only recently opened, but it’s popularity already speaks for itself. There isn’t a camping ground Hervey Bay visitors can compare to the Pier, and spaces are filling fast for the upcoming summer peak. If you’re looking for a Hervey Bay caravan park that offers the most updated and modern from facilities, the best in on-site entertainment, and the most convenient in terms of its Hervey Bay location, the Pier Caravan Park Hervey Bay is the place for you. Catering for weekenders and long-term travellers, the Pier is a Hervey Bay caravan park that feels like a home away from home. Give our knowledgeable local park managers a call today and make a booking today and see for yourself. Pier Caravan Park Hervey Bay – Where Happy Memories Are Made.